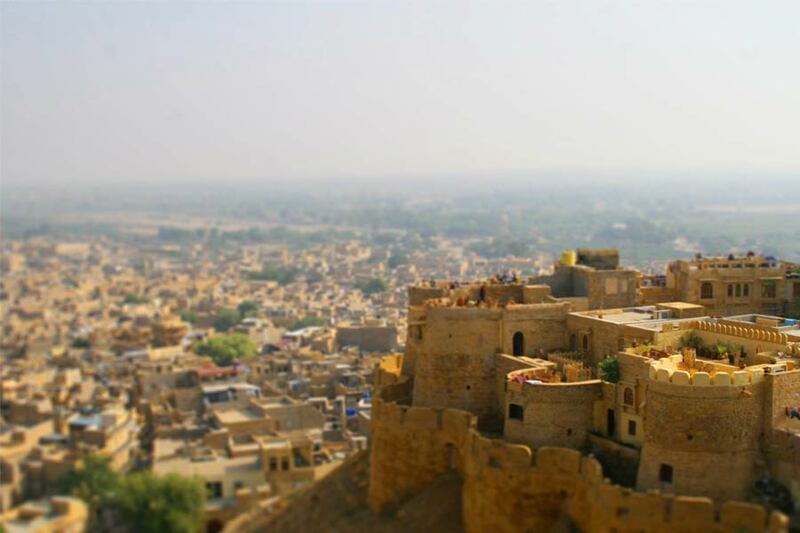 Jaisalmer is also known as the GOLDEN CITY of Rajasthan & famous all across the globe for havelies and forts. All the major tourist attractions are located within the radius of 2 to 4 km and can be better covered with the walking tour. Rajputana India Tours has designed this heritage walk tour of Jaisalmer to explore some of the famous historical attractions in this city. Around 9:00 am, you will be picked in an auto and dropped at Gadisar Lake. After seeing the lake, you will be dropped at Jaisalmer Fort and from here the heritage walk starts. 9:00 am- Visit Gadisar Lake which is an artificial reservoir that was constructed in 14th century by Maharawal Sadsi Singh. It is also believed that this lake use to give water to the whole Jaisalmer City. 9:30 am – Visit Jaisalmer Fort as this Fort is situated in the centre of this beautiful city and famous all across the globe for its architecture and miniatures. This fort was constructed by Bhati Rajput ruler Jaisal in the year 1156 and also popularly known as Sonar Fort. This monument is regarded as the pride of Jaisalmer and protected by 30 feet tall walls from all the sides. 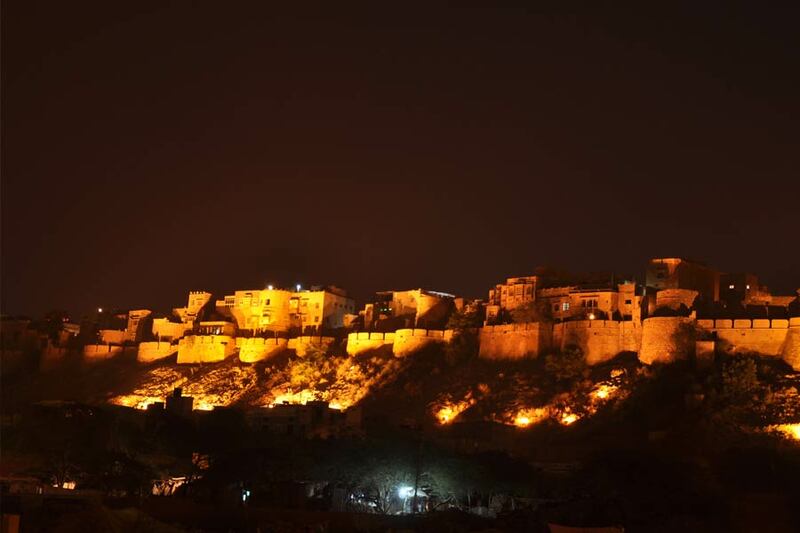 You must visit this wonderful fort, if you are planning a trip to this golden city. 10:30 am – Visit Patwon ki Haveli which was built by a famous trader named as Guman Chand. It is a massive 5 storied building having 5 intricately decorated big suites. The decorated walls and large corridors represent the art form of that time period. If you are planning a trip to Jaisalmer, you must visit this beautiful Haveli. 11:00 am – Visit Salim Singh ki Haveli which was commissioned in the late 17th century by Salim Singh. It has more than 38 balconies and has tuskers guarding the gateways. 11:30 am- Visit Mandir Palace which has been now converted into a heritage hotel and also has a small museum inside it. 11:45 am – Visit Bada Bagh which means “Huge Garden” that was built in the starting of 16th century, which serves as a memorial for various royal families and nobles. The garden has a stunning view and can be visited during sunrise or sunset for various beautiful moments. Please note: This heritage walking tour will start from Gadisar Lake at 9 am and ends at 12 pm.